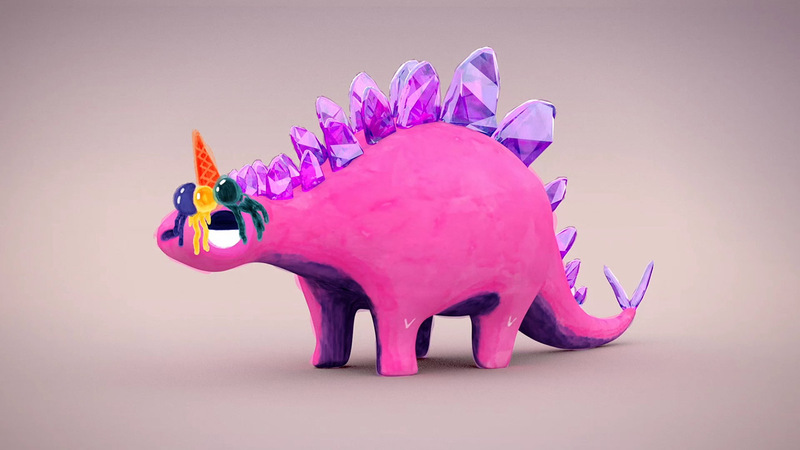 Meet the big, pink stegosaurus with a very, very, very tiny brain in the delightful animated short 'Wayne the Stegosaurus' by Mill artists Aran Quinn and Jeff Dates. The team selected the piece by Children's Poet Laureate Kenn Nesbitt to adapt for the 5th season of Motionpoems, a nonprofit bringing poets and filmmakers together to create short films. Co-directed by designer Aran Quinn and senior VFX supervisor Jeff Dates, the project was a great collaborative opportunity for the artists to bring together their backgrounds in design and 3D. 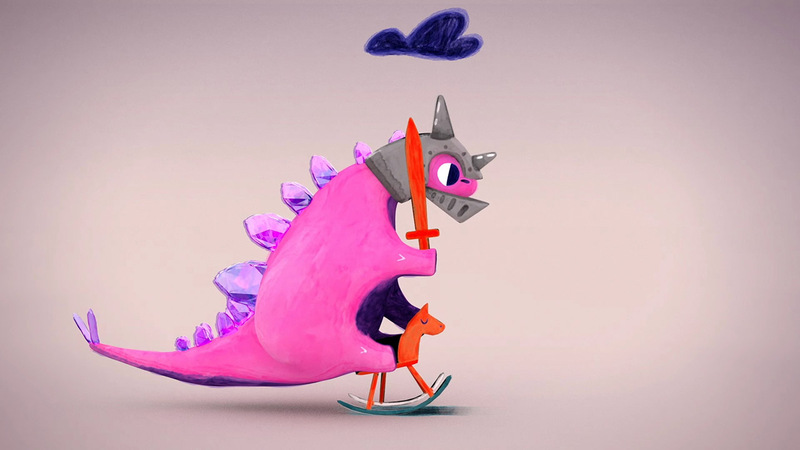 After selecting a poem from a curated list, they had full creative freedom to interpret the poem and create a visual narrative worthy of the lovable pink dino and his endearing view of the world. Basing the approach on Aran's designs and illustrations, they were able to build an appealing blend of 2D and 3D animation, creating a hybrid aesthetic that utilized the strengths of each artist. 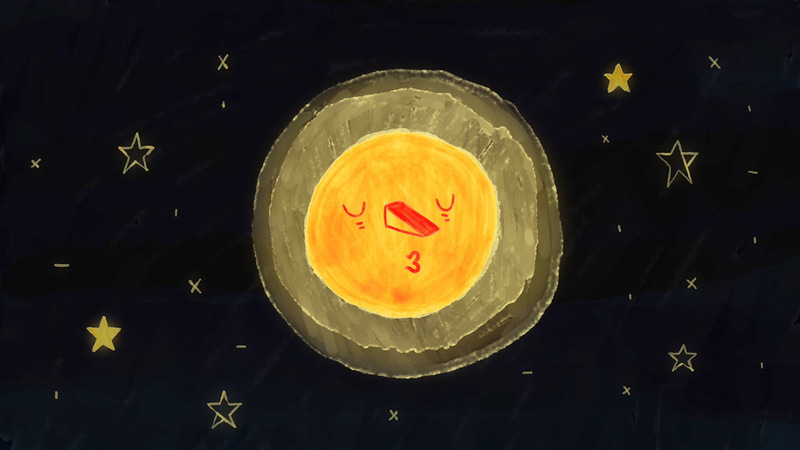 Paired with the sage voice of narrator Christopher Lukas and the sound design to match, the poem comes to life in a sweet visual narrative about a very dumb - but lovable! - dinosaur that we hope you'll enjoy. What medium was used for the animation in this film? This ended up being completely digital. 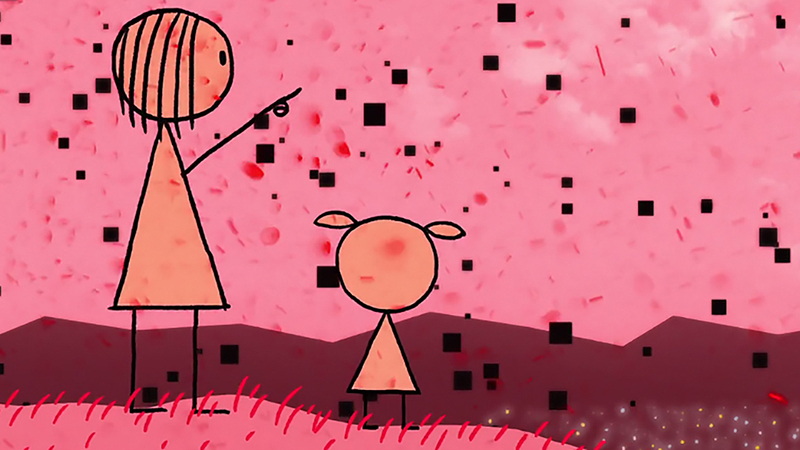 It's a huge mix of 3D and cell animation. 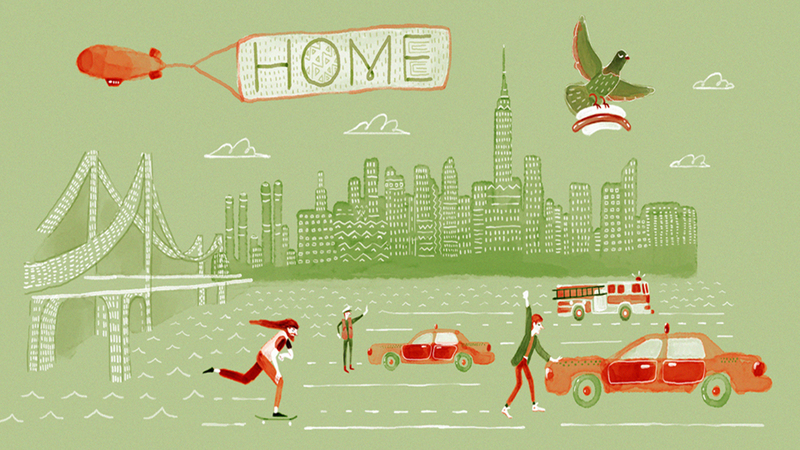 I really wanted to push my illustrations into a 3D environment but keep the hand-drawn look dominant. 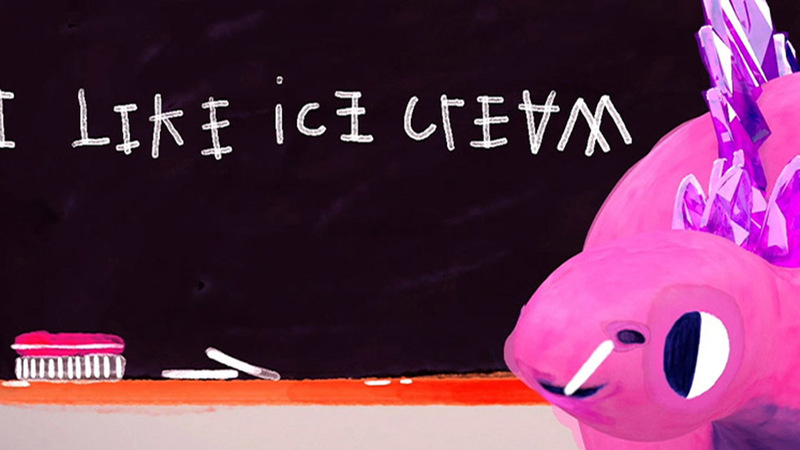 Wayne was made in 3D and his boiling painterly skin was an animated texture painted in photoshop. The 3D side of it was mainly operated in XSI. Z Brush was also used for Wayne himself. The cell animation was animated in Flash and then painted over with Photoshop brushes to get that watercolor handmade look. Everything was then comped in Nuke and After Effects. How did you approach this collaborative short film? I came up with the illustrations and design of the piece. 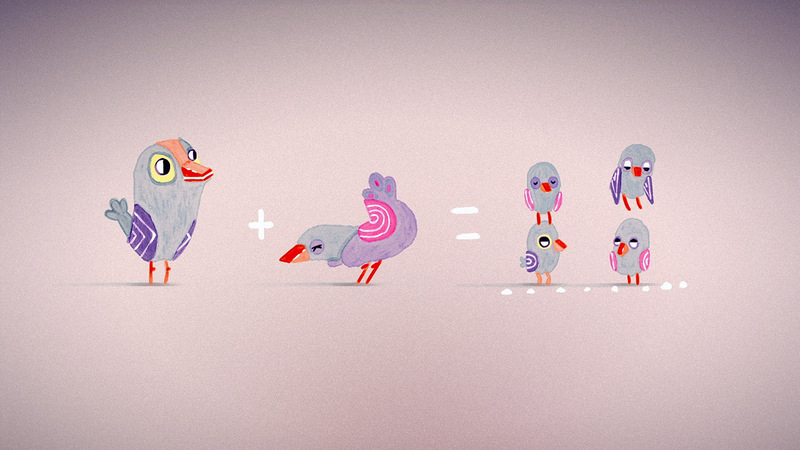 Based on this approach, Jeff and I where able to build a 2D/3D visual look that felt well balanced. I focused on boarding out a rough animatic to portray the poem's tale through a series of simple vignettes. Once the initial story was there, it was a lot of discussing shot-by-shot between Jeff and I until we were both happy with each scenes visual story. It was a very collaborative pipeline with both Jeff and I finessing the story and compositions until the very end. Jeff animated Wayne and other 3D elements, while I animated the birds, sun, moon and any other 2D elements that needed cell animation with the help of designers and 3D artist. What is the role of sound in this film? How does it interplay and juxtapose with the words of the poem? 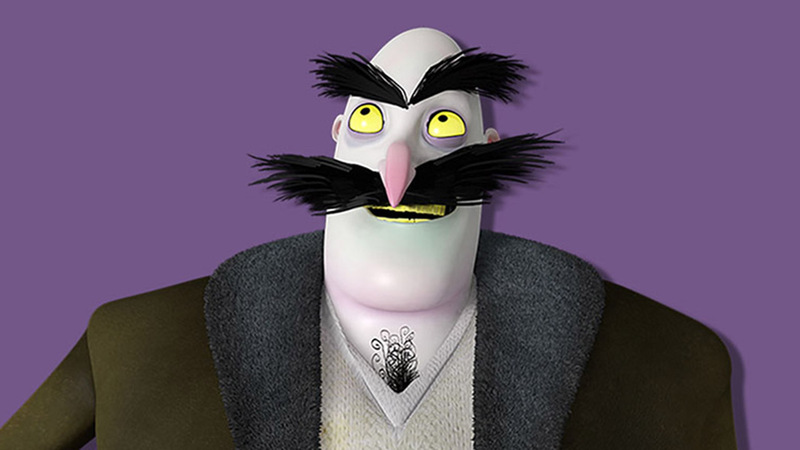 Christopher Lukas, the voice over talent, had a strong texture and presence to his voice so the sound was more like Wayne, simple and subtle. I wanted a obvious contrast between Wayne's character and Lukas's deep and textured wise voice. This juxtaposition helped amplify the silliness of Wayne's simple mind. Because of this, the sound was to be subtle layer to aid the jokes. They where necessary to help hit the punch lines for most of the gags like farts, disco beats and thunder strikes. Find a full list of credits here.